Amigo Aaron and The Brent are back! This week we are taking on the original Apple Macintosh! 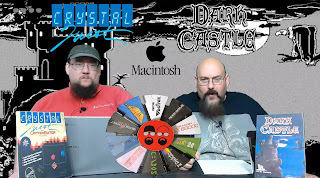 Prepare for monochrome madness as we have a go at Crystal Quest and Dark Castle!